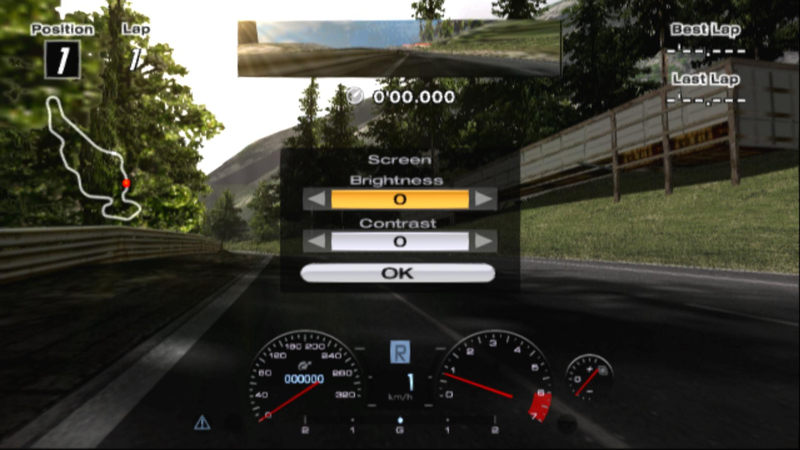 I am trying play my game Gran Turismo 4 on PC. Everything works fine but when there is race? I see just (screen attached) but replay look working good. I think something must be wrong set. This Pc isnt bad. It works thank you very much I love you!!! opengl partial , minimal - makes no difference , the sun is still not emulated properly. Perhaps it's something to do with amd's drivers again ... because I get a lot of pcsx2 crashes. Changing the values doesn't make any difference. FWIW, I tried it on OpenGL/partial/accurate blending, just clicked X to go on the first track. It seems to work. I can control both brightness and contrast. I can see a difference on brightness (not sure the light difference is good as the effect is reimplemented with a modern shader).